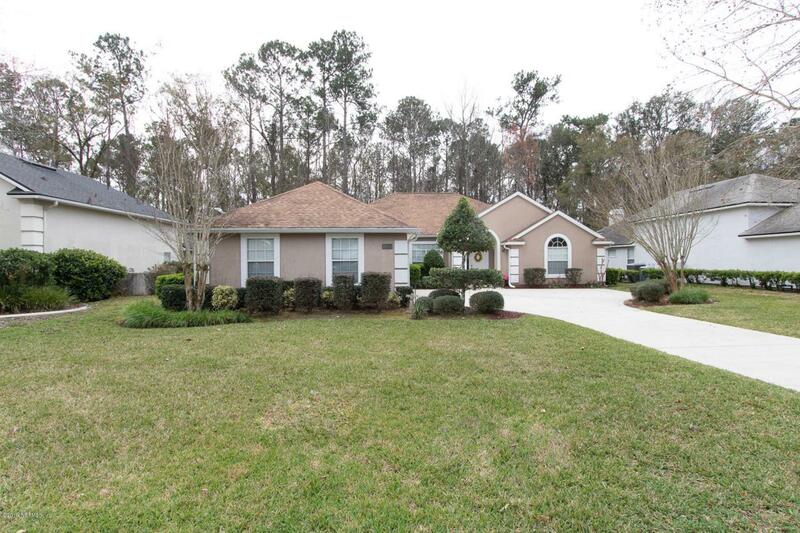 Fabulous private lot in gated Orange Park Country Club. Great plan with kitchen central to the home, updated with backsplash and granite - gather around the family chef while meals are prepared. Features include easy care tile plus built ins, also an added wine cooler in the kitchen. 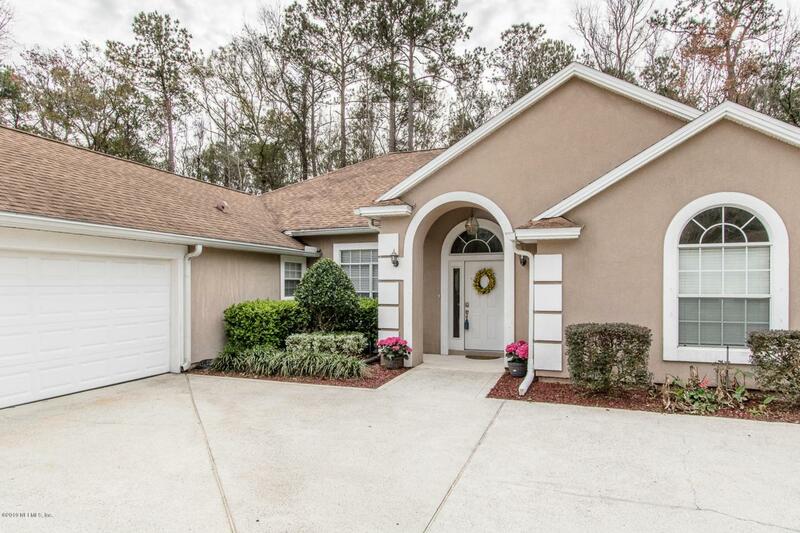 You will love the large open air lanai for entertaining, cooking out or enjoying your morning coffee with a private back yard. 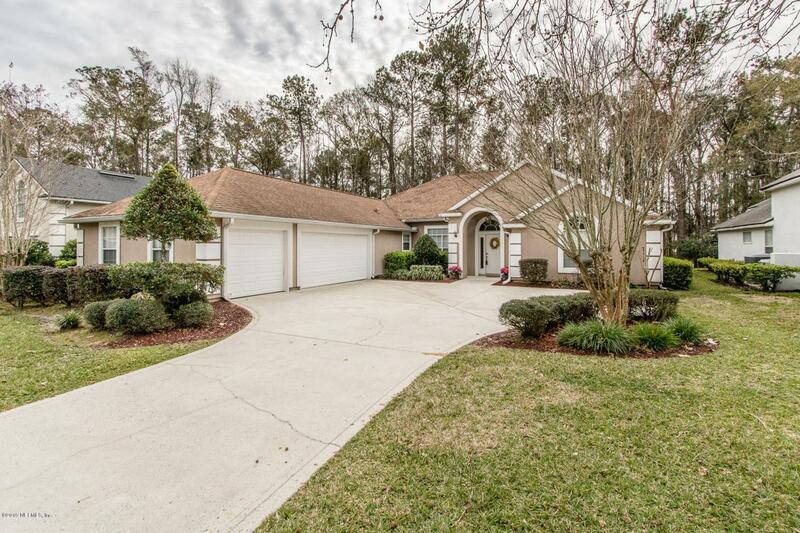 Three car garage has space for everything including extras plus a large drive way. Roof 2013. Laundry is pre-plumbed for sink. Newly renovated pool area for community use. 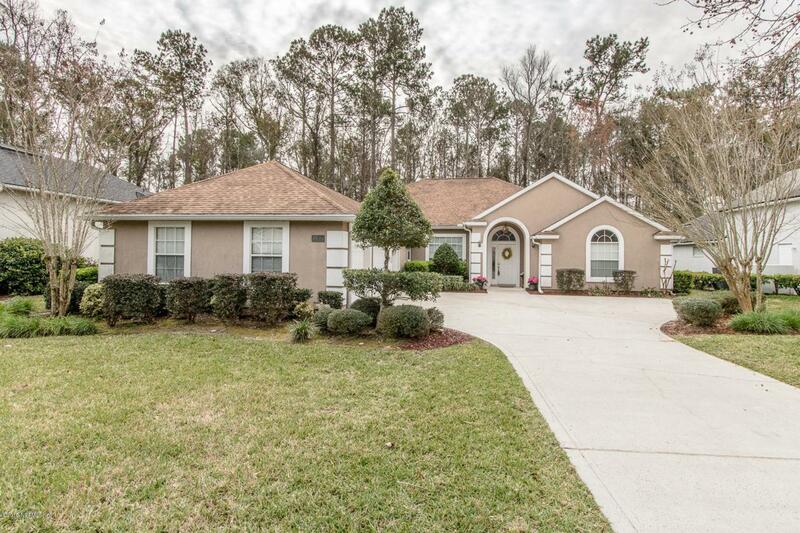 This attractive golf course community with mature, manicured trees and landscaping is centrally located in Orange Park convenient to schools, shops and restaurants. Enjoy the photo tour.